Interested in copywriting, marketing and media related subjects? Join Eleanor Goold and Mat Hiscox of Kreativ Copywriting as they explore the world of advertising, marketing and copywriting and reveal the secrets, stories and successes that happen behind the scenes. The Kreativ Conversations bite-sized ‘podblasts‘ are the place where words really do come to life! Listen to the latest podcast here. Eleanor and Tara discuss all things business, marketing and copy related on The Anti-Social Chat Show, the podcast for small businesses, freelancers and entrepreneurs. Subscribe to our podcast here. Here are some podcasts we have been on covering copywriting, marketing and business. Enjoy! If you would like us to appear as a guest on your podcast, simply get in touch! 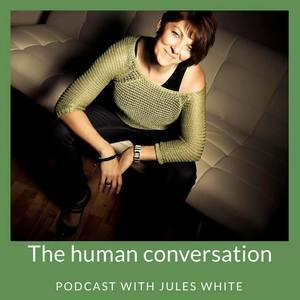 Eleanor joins real-life dragon slayer, TEDx speaker and entrepreneur’s sales coach Jules White on her popular show The Human Conversation. You can listen to Eleanor talk about How to Win on LinkedIn here. And listen to The Truth About Freelancing here. Jules was one of the first contestants to enter Dragons’ Den…and walk away with an investment offer from Peter Jones! 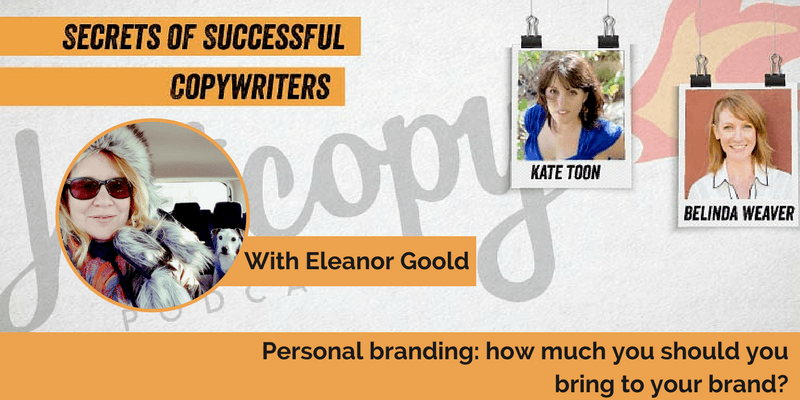 Eleanor was delighted to be interviewed on The Hot Copy Podcast by the wonderful Kate Toon. Eleanor talks about personal branding and how much ‘you’ you should you bring to your brand. It’s a real corker of a podcast. Check it out here. A fascinating story giving a unique insight into the way we market financial products such as pensions, investments and protection. Hear Eleanor talk about simplicity in communications and how important it is to focus on benefits and not features on Roger Edwards’s (AKA The Marketing Guy) podcast. 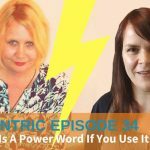 In this popular episode, Eleanor talks to Amanda Webb of Spiderworking.com about using power words in your copy. But be warned…it’s not what you think. You can listen to the show here or download it for free on iTunes. Eleanor talks to Kate McQuillan of Petsitters Ireland all about her other passion – dogs! Here she talks about Canine Massage and how we can massage our dogs, what we need to learn about and the benefits.